This story starts back at the beginning of time, ok 1984, but it feels longer! lol I was a small boy of 10 years old and I went into a newsagents to spend my pocket money and I spotted a new comic, it was only the second issue of it and it was called Transformers! Action and adventures of robots that could change into cool things like cars and planes, I was hooked straight away! 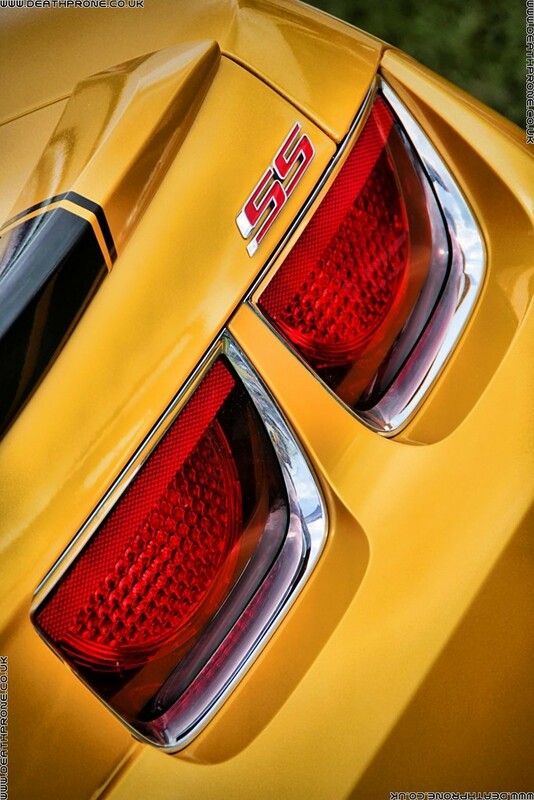 One of my favourite characters was called Bumblebee, he was bright yellow and transformed into a VW Beetle, he wasn't as big and tough as a lot of the others, but he made up for it in heart! I started collecting the toys, watching the cartoons and even went to the cinema to watch the feature length cartoon movie, which I still love today! 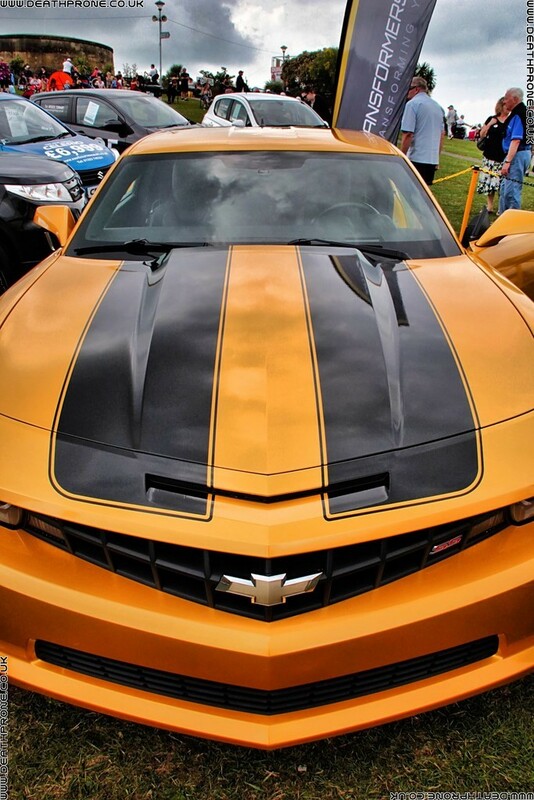 Anyway times moved on and they decided to bring Transformers back as live action movies and I was really excited, but I did feel rather sad when I saw that Bumblebee had been through his own transformation and become a bigger grown up robot and now transformed into a Chevrolet Camaro. 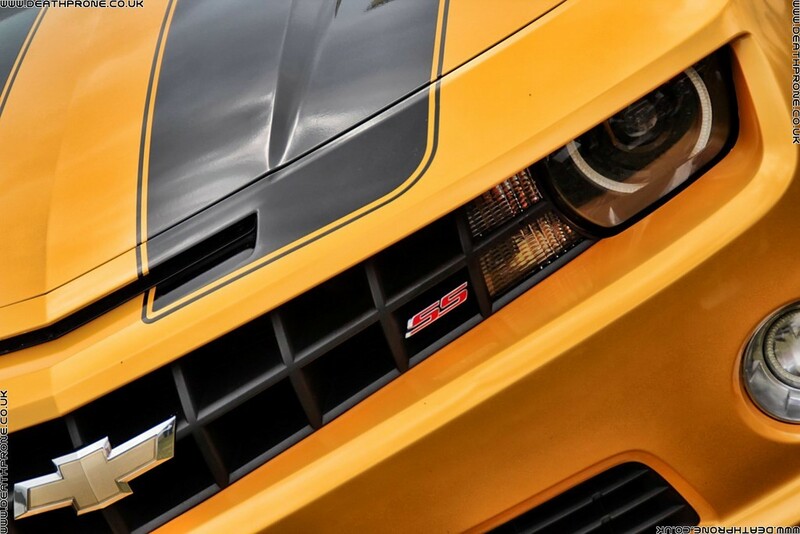 He will never be the same Bumblebee to me, but I do like the new version too. 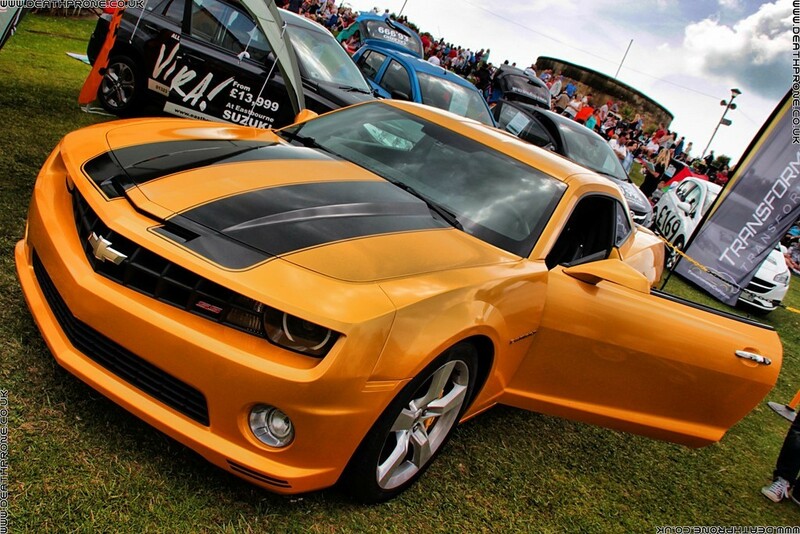 In 2016 I went to Airbourne Airshow in Eastbourne and they had Chevrolet Camaro SS (Super Sport) all painted up as the new version of Bumblebee, it even had the 900 STRA numberplate. I have to admit it did look very cool and there was a big line of kids waiting to have their photo taken sitting inside Bumblebee! 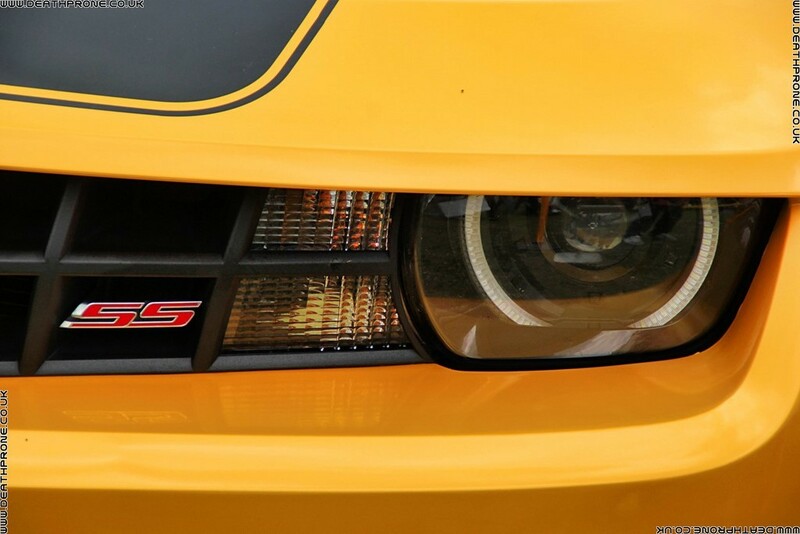 Part of me still misses the Volkswagen Beetle version of Bumblebee, but I know that to most people, especially the kids of today the Chevrolet Camaro SS version of Bumblebee is probably much cooler! 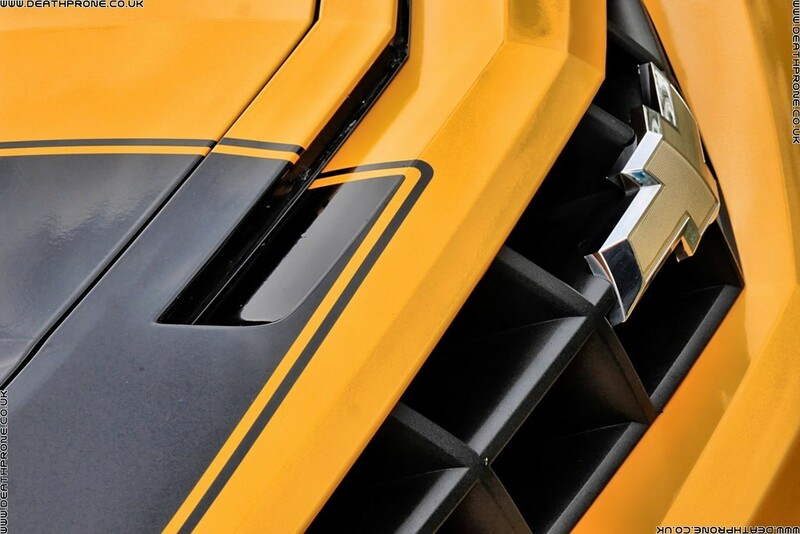 The toy version's of the Chevrolet Camaro SS is rather nice too and much more fun to transform than the original G1 Bumblebee VW Bug Transformers toy that I used to have. 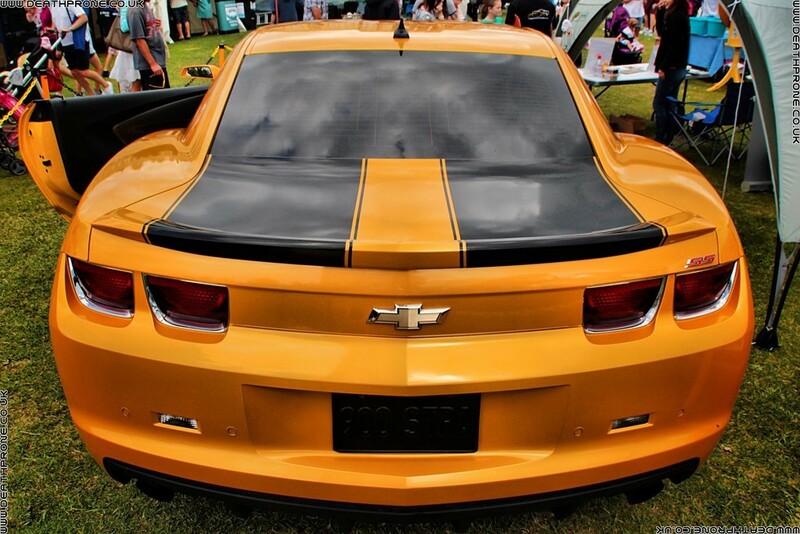 Chevrolet Camaro SS all painted up as the new version of Bumblebee from Transformers.